The 1980 Damoiseau was no fluke, as this 1989 forcefully demonstrates. Last week I wrote about the Longueteau Grande Reserve which I tasted in tandem with this excellent Damoiseau (and five or six others), and wow, did this one ever stand out. At the risk of offending that actually rather pleasant and inoffensive Grande Reserve, I think the Damoiseau shows what it could have been with some egging on. (Actually, this is what the Pyrat’s XO could have been had they ever found their cojones, lost the oranges and dialled the whole thing up to “12”, but never mind). 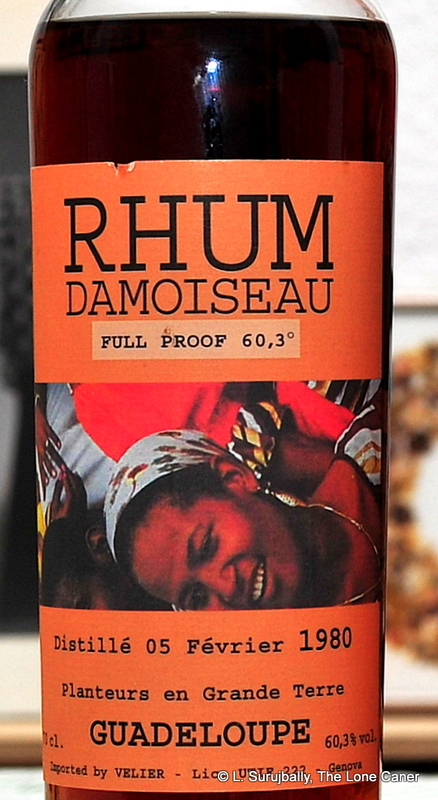 Because frankly, I believe that the dark orange 58.4% twenty year old beefcake is one of the better rhums to come out of Guadeloupe – there’s absolutely nothing wrong with it, there are few, if any, missteps of any kind (unless you count the paucity of any single sterling point of achievement as a misstep) — there’s so much that’s right with it, that it seems almost churlish to point out where it fails to ascend to the heights of brilliance achieved by, oh, the Chantal Comte 1980 or even Damoiseau’s own 1980 older brother. Consider first the smell of the thing: it was amazingly full bodied, with a charging, yelling, joyous nose – if Braveheart ever visited Guadeloupe, it’s this he would have been drinking and all the Scots would be speaking creole and we’d never have heard of that obscure Hebridean tipple. Candied light oranges started the revels off (here’s where my reference to the Pyrat’s came in – observe the tact with which the citrus was presented here versus the overripe nonsense Patron has been selling). Peaches, apricots, and brown sugar soaked in lime juice, which sounds a little loopy until you actually taste it. And after letting the rhum open up a bit and settle down, lovely aromas of honey, licorice and sweet soya came forward to lend piquancy and heft to the experience. There were fond memories of other agricoles issued at cask strength in my tasting, and I felt no particular amped-up over-aggressive heat from the 58.4% ABV at which it was bottled. The sharpness burned off in no time, leaving a warm solidity of the honey and soya to carry forward from the nose. And then it was like slow fireworks going off – strongly heated black tea, coffee, chocolate, earthy, waxy and citrus notes detonated on the tongue in solemn grandeur. Some fleshy fruits (more apricots and peaches), lemon zest and yes, those candied oranges were back again for an encore, dancing around the backbone of the other, firmer notes. The control of the oak, by the way, was pretty good, and in no way intrusive – at most there was some background of vanilla and vague tannins, and even that was in no way offensive or overbearing. I was looking for the herbal and grassy profile of a true agricole, and must confess there were just about none. It was just a really well-constructed panoply of tastes both strong and subtle, leading into a slow, warm finish as post-coital languor in a courtesan’s boudoir – you almost want to break out the newspapers and some shag for your pipe as you enjoy long, pleasant closing notes of coffee, orange peel, and bitter black chocolate. What a lovely piece of work indeed. As I’ve observed before, I have a slight, sneaking preference for Guadeloupe agricoles over Martinique ones (though both are good, of course – it’s like asking me who I love more, Little Caner (my fast-growing cheeky son) or Canerette (my just-graduated, far-too-clever daughter)…a pointless exercise since both have aspects of real distinction which get equal adoration from their papa). I must simply sum up by stating that the way traditional, classic agricole components in this rum have been melded with something that is almost, but not quite, a molasses product, is masterful. This, for its price, is a rum to treasure. Tasted in Paris in 2016, courtesy of Christian de Montaguère and Jerry Gitany. I bought seventeen rums and tasted a raft more, which we all thought was fair. Merci beaucoup, mes amis. Nope, I never managed to acquire the Velier Damoiseau 1989 for a comparison. But now I really want to. €100 for this? Great value for money. 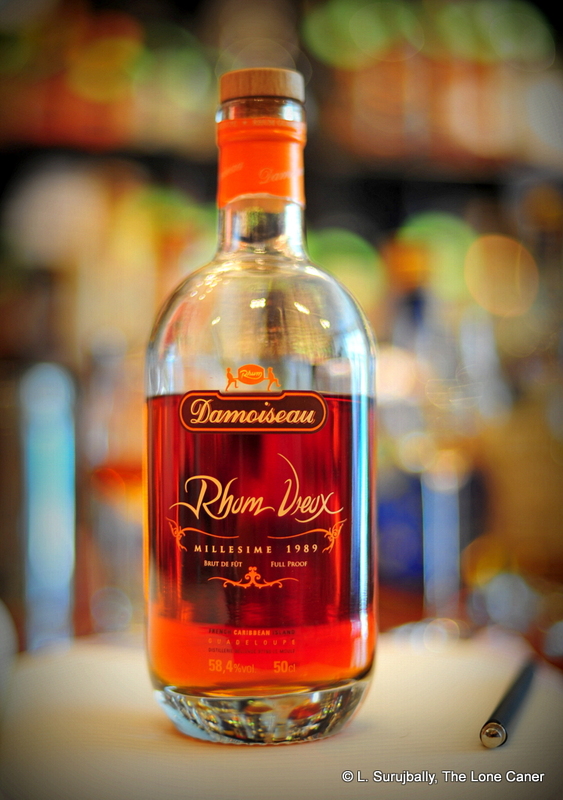 BUT….In an odd (but not entirely uncommon) coincidence, Serge Valentin of WhiskyFun wrote about this rhum this same week. He rated it at 78, remarking on its ‘indefinite’ character. Also, Single Cask Rum ran three Damoiseaus past each other (1989, 1991 and 1995) and it lost out to the other two…so balance their reviews with my more enthusiastic one. If you can, try it yourself before buying. A marriage of the best of agricoles with the best of molasses-based rums. We close off 2015 with the spectacular 2002 rum that opened the Age of Velier. 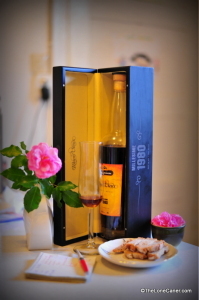 Velier is better known for the pioneering full-proof Caroni and Demerara rums which have garnered it so much acclaim in the past decade; and more recently they have raised their profile even more with the issue of the Clairins, a close association with Richard Seale, and the “Gargano classification.” Yet rum aficionados who track this company know that the true beginnings of its rise are contained within the first issue they ever made – the Damoiseau 1980. There’s a story here, of course. Luca Gargano (to speak of him is to speak of Velier) had bought into the small Genoese concern in the 1980s. 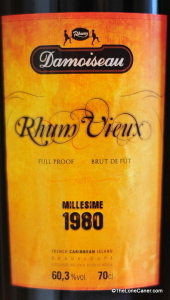 In the late 1990s, in his travels around the Caribbean, he tried the 1980 stock from Damoiseau (in Grande Terre, Guadeloupe), which was considered spoiled by a proportion of molasses in the rum, supposedly rendering it unsellable (perhaps because it diverged too much from their standard product profiles, or, more likely, because it did not match the AOC criteria, as the back label attests). Rather than attempt to bottle it as it was, they put it on the market as a bulk sale, and feeling it was an undervalued masterpiece, Luca bought the entire stock. Velier issued it in 2002 at cask strength and it became the product that made the rum world (small as it was) sit up and take notice. 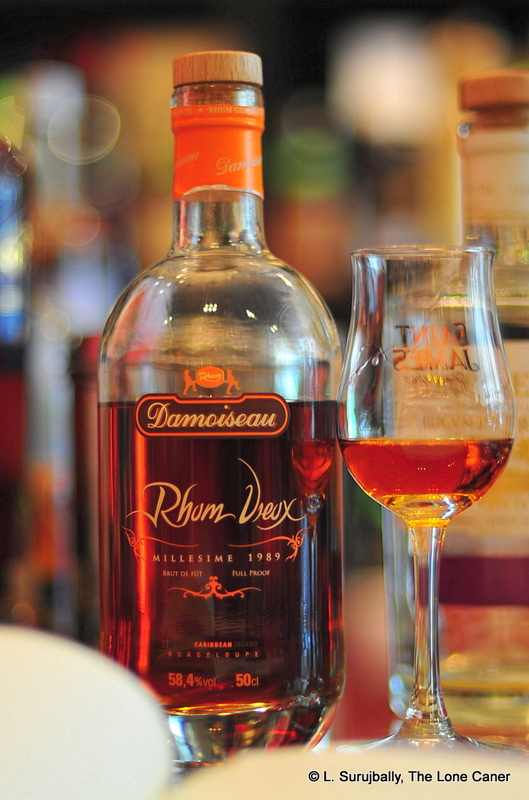 Observing the rhum, you see many of the hallmarks that would become better known in the years to come, and some that were in the process of gestation. The bottle was taller and thinner than its descendants, and the label lacked the puritan simplicity of later issues. 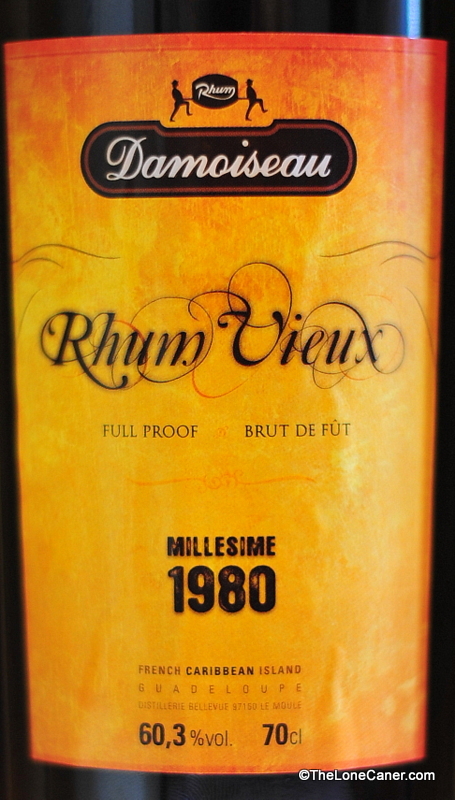 Like Damoiseau’s own 1980 bottling from four years earlier, it was released at cask strength, and exhibited the same high level of quality. Perhaps more so, because while it is claimed not to have aged in the resting period between 1998 and 2002, I have my doubts about that, and felt that it very slightly edged out the Damoiseau edition. Velier’s version was distilled in February 1980, vatted in 1998, and then issued in 2002. In the interim, it was stored for four years in a foudre (a large wooden container, meant to be inactive, where it would rest without further evolution), and so I’ll be conservative, take that at face value, and call it an eighteen year old even though you could argue, and I believe, it’s four years older. The outturn was 1,200 bottles, so it’s getting rarer all the time, alas. The rhum was enormously self-controlled on the attack, to use the extremely apt French word. It was very heated (come on, 60.3%?…of course it was), but not unbearably so. Thick and oily, almost full bodied. Once some dry, salty notes seared the mouth and faded away, tastes of salt butter, cream cheese (a nice brie, perhaps) and rye bread briefly danced around, before being replaced in the lineup by light rose hips, honey, almonds, fennel. And then darker, deeper flavours emerged with water – peaches in syrup, or even cherries – thank God the sweet was very well reined in and controlled. Closing tastes of molasses, anise, caramel, some leather were noticed, and I have to stress how well balanced all this was. The finish was appropriately long, a little dry, with honey, pears and almonds. It was actually quite amazing how little agricole-ness there was in the overall profile, yet it was there. And what there was melded extremely well with more traditional molasses tastes – it was this which probably made Luca believe it did not have to be marketed or sold as an either/or proposition, but as a beautiful amalgam of both. I was as impressed with Velier’s edition as I was with Damoiseau’s own. They are both spectacular, and tasting them side by side showed their common origins quite clearly. On balance there wasn’t much to choose between them except that I thought Damoiseau’s presentation was better, while Velier’s actual rhum exhibited a shade more complexity, some tiny smidgen of quality that made it score a half point more. But no matter – I’d buy any one of these again in a heartbeat. They were and are enormously well-made rhums that use their strength and age to enhance the good rather than disguise an off-note within (the way the AH Riise did with their Navy rum). Normally, I feel that agricoles and “traditional” rums have an uneasy relationship when they are put together to duke it out (as Ocean’s distillery found out with its 1997 Atlantic rum). But then I remember Heraclitus, who remarked that “The counterthrust brings together, and from tones at variance comes perfect harmony.” In this particular case, I argue that such harmony occurred between the muskier tones of molasses and the lighter, herbal profile of the French islands. It’s rarely, if ever, been done this well — and perhaps the way in which disparate, even conflicting, philosophies can meld and gel and produce something so remarkable, holds a life lesson for all of us, rum aficionados or not. Watch your step with the cork, which is very dry and fragile, and may crack as you try to open the bottle. Damoiseau did not in fact sell all their stock to Velier, perhaps intuiting that someone as enthusiastic as Luca might have been on to something. It’s unknown how much they held back, but they went ahead and released their own bottling in 1998, at the same strength. Since Velier subsequently issued other Damoiseau rhums (the 1986, 1989 and 1995) as well, I doubt anyone is nursing a grudge. Observe the cool factor of the beautiful lady on the label photo (one of Luca’s pictures, any surprise?). He was doing it to lend emphasis to the creole and black population (who comprise the majority of the labour force), and I suppose to perhaps tweak the noses of the industry leaders on the island, who are mostly békés. Damoiseau has gotten into a fracas over the last few years regarding labour practices and intemperate comments in the media, so maybe there’s a deeper, subtler joke going on here. The back label roughly translates from the Italian as: “It was one of those days that happens a few times in life. 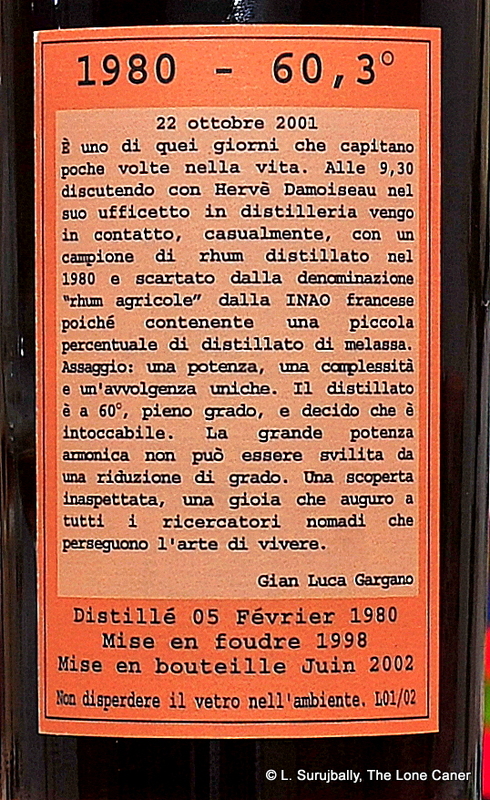 One morning at 9:30, in discussion with Harvey in his office at the distillery, he mentioned that he had found, accidentally, a barrel of rhum distilled in 1980 and rejected by the French AOC for the designation “rhum agricole” because it contained a small amount of distilled molasses. The taste was a powerful complex envelopment. The distillate was a full 60° and I decided that I would not touch it. The great harmonious power it had could not be showcased by a reduction of a single degree. It was an unexpected discovery, a joy that I wish to all the searching wanderers who pursue the art of living.” Okay, so my Italian is about on par with my French, but that’s not a bad sense of the words, and knowing Luca, I’m pretty sure I caught the gist of his comments. When one buys a raft of intriguing aged rums and then samples several dozen more (especially after a protracted absence), the issue is which rum to start reviewing first. Since my intention on this go-around was to run through several Caroni rums from Trinidad, as well as to give more weight to agricoles from the French West Indies, I decided that one of the best of the latter deserved some consideration. And that’s this sterling Damoiseau. The Bellevue au Moule estate and distillery was established at the end of the 19th Century by a Mr Rimbaud from Martinique, and was acquired by Mr Roger Damoiseau in April 1942…since then it has remained within his family (the estate and distillery are currently run by Mr Hervé Damoiseau). They claim to be the market leader in Guadeloupe — 50% market share, notes the estate web page — and their primary export market remains Europe, France in particular. Forget all that, though: this 1980 edition would be enough to assure their reputation as a premium rum maker by any standard. Damoiseau themselves obviously thought so too, because it’s not every day you see a polished wooden box enfolding a bottle, and costing as much as it did. And once open, bam, an immediate emanation of amazing aromas greeted me. Even with my experience of full proof rums clocking in at 60% and over, this one was something special: plums, dark ripe cherries and cinnamon blasted out right away. The rum was impatient to be appreciated but then chilled out, and crisp, clean and direct notes of white flowers and the faintest bit of brown sugar and fresh grass came shyly out the door. I’d recommend that any lucky sampler to get his beak in fast to get the initial scent bomb, and then wait around for the more relaxed aftersmells. What also impressed me was how it arrived in the palate: you’d think that 60.3% strength would make for a snarling, savage electric impact, but no, it was relatively restrained: heated, yes, but also luscious and rich. 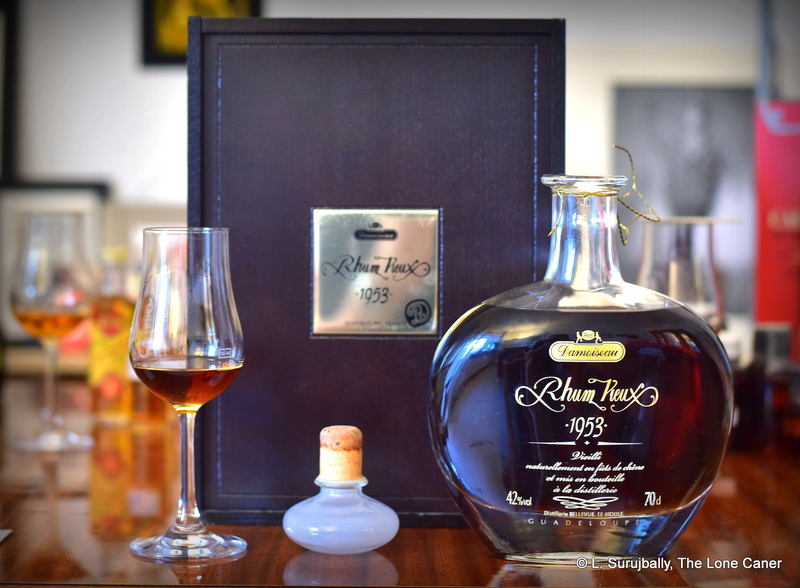 (The closest equivalent I could come up with when looking for a comparative to this rum was the 58% Courcelles 1972 which also had some of the loveliness this one displayed). Fleshy, sweet, ripe fruit were in evidence here, pineapple, apricots, crushed grapes, apricots – it was so spectacular, so well put together, and there was so much going on there, that it rewarded multiple trips to the well. It’s my standard practice to add some water when tasting to see how things moved on from the initial sensations: here I simply did not bother. It was hard to believe this was an agricole, honestly – it was only at the back end that something of the light cleanliness and clarity of the agricoles emerged, and the fade was a pleasant (if a bit sharp), long-lasting melange of white fruit (guavas, I’m thinking), a twist of vanilla, and light flowers. 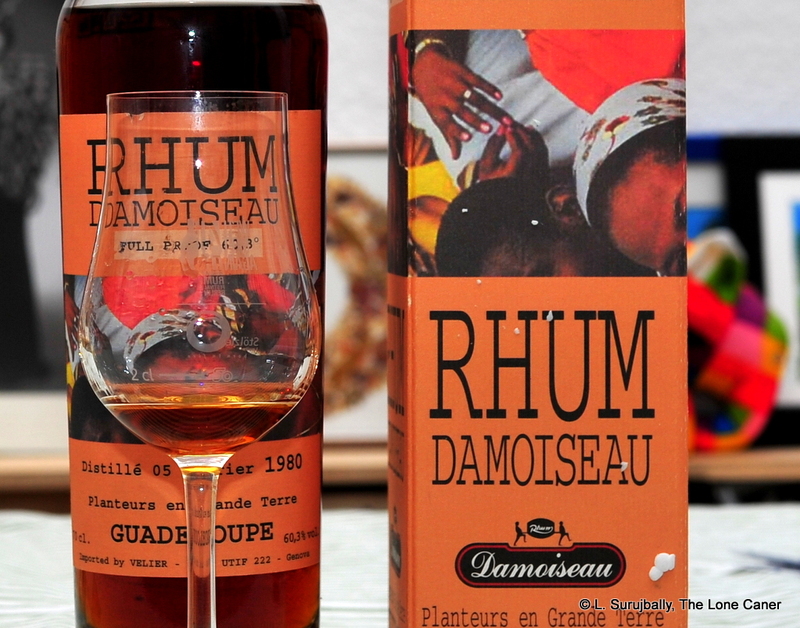 Guadeloupe as a whole has never been overly concerned about the AOC designation, and creates both pure cane-juice and molasses-based rums, in light and dark iterations of vieux, très vieux, hors d’age and (not as common) the Millésimé – that’s where we head into rarefied territory, because it denotes a particular year, a good one. 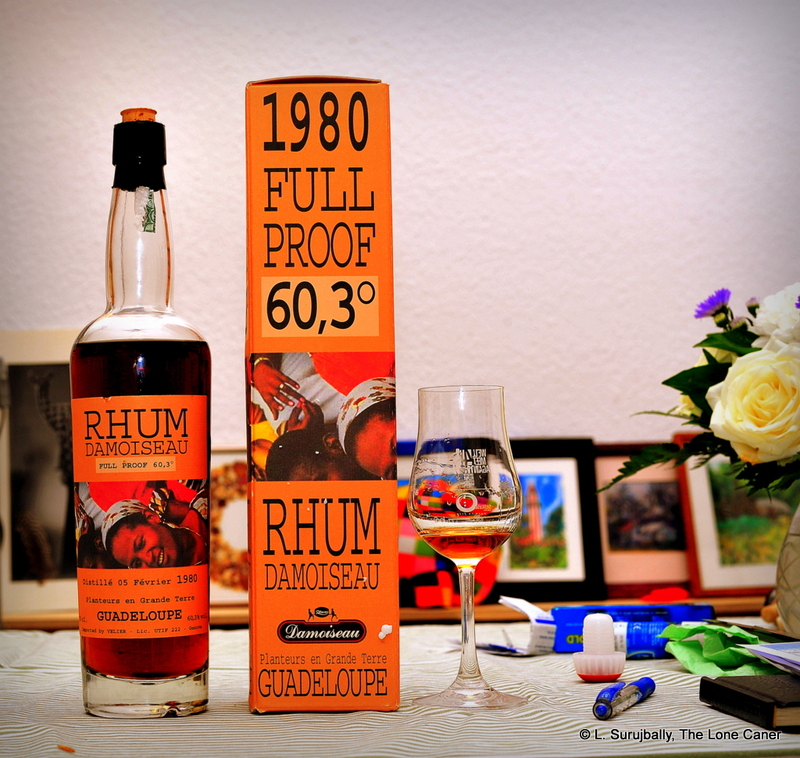 From the taste of this rum, the heft and the richness, 1980 outturn must have been phenomenal. For a very long time I’ve not been able to give enough attention to the products of the French West Indies (to my own detriment) – but even the few steps I’ve made have been worth it, if only to see diamonds like this one washed up on the strand at the high water mark. Aged for 18 years in 180 liter ex-bourbon barrels.